So you’ve been told you need a tooth extraction. Your tooth is damaged or decayed, your mouth is too crowded, or you have an infection. Knowing what to expect can improve the experience before, during and after the procedure. 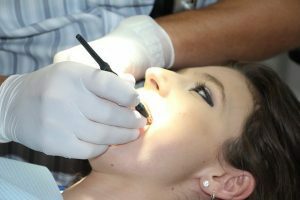 When it is time to remove the tooth, we can either use local anesthetic, or IV sedation. The decision for local anesthesia or sedation is based on the patient’s desires and complexity of the procedure. Once the tooth area is fully numb, Dr. Puckett will remove the tooth. It usually only takes a few moments. If the tooth is impacted, Dr. Puckett will cut away a small amount gum and bone, then rock the tooth to loosen it. Sometimes, if a tooth is especially difficult to dislodge, he will take it out in pieces. Once the tooth is out, a blood clot will form in the socket. Dr. Puckett will put in gauze and ask you to bite down to help the blood clot. Sometimes a few self-dissolving stitches are needed. Historically, dry socket can occur in about 1% of cases. Our office rarely sees this issue because we have used naturally based products after removing teeth which have essentially eliminated the dry socket risk. Bite on the gauze, changing it if needed. Treat the gauze like a band-aid. Put an ice pack on your face during the first 2 days – we will provide the reusable ice pack for you. Relax for at least 24 hours, and avoid rigorous exercise for the next day or two. Avoid drinking from a straw, rinsing out your mouth or spitting for 24 hours. Prop your head up when lying down. Floss and brush your teeth and tongue as normal (but not the extraction site). You will probably feel some pain after the anesthesia wears off, and have some swelling or bleeding. But if the pain or bleeding are still severe five hours after you have left our office, call us. Also call if you have fever, chills, nausea or vomiting, redness or an excessive discharge, cough, shortness of breath, or chest pain. Healing usually takes a week or two. However, a missing tooth can cause bone and gum loss, and make remaining teeth shift, altering your bite. That’s why in most cases, we advise replacing the missing tooth with a dental implant.